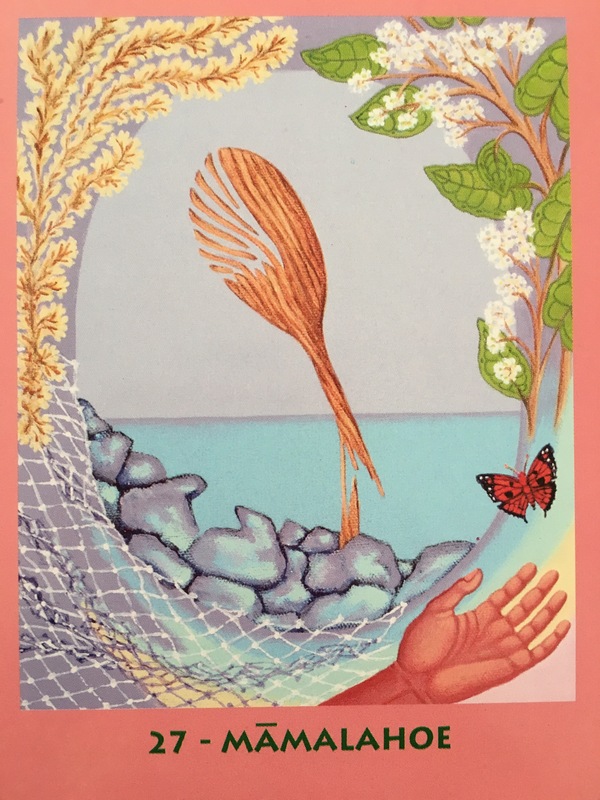 Card: 27 MAMALAHOE – from the Mana Cards: The Power of Hawaiian Wisdom by Catherine Becker and Doya Nardin. Message from the Faeries: What is humanity lacking in abundance right now? Compassion. There just isn’t enough compassion in the world. If there was a lot of compassion, there wouldn’t be so many people suffering and at odds with themselves and each other. Most of you are way too harsh on yourselves. You are super critical, unkind, judgemental and miserly with yourself. This causes so many of the struggles and problems that you have in your life. It causes you to have a terrible relationship with yourself, and it’s why you have so many difficulties in your relationship with others. If an alien landed on your planet, and they were a compassionate alien, they would see how awful everyone was to themselves and each other and they would probably hop back on their spaceship and fly away. They would come back to visit sometime in the future in hopes that you have all learned a thing or two about compassion, because they see the seeds of compassion planted inside of you, and they know the potentiality of humanity. If you have a difficult time being compassionate towards others, then begin with yourself. Be kind to yourself. Don’t be judgemental towards yourself. Be generous to yourself. Be loving to yourself. Once you are for real being compassionate towards yourself, it will be easy to be compassionate towards others. Why are you more compassionate towards some people more than others? Everyone deserves love and compassion. Imagine a world where this was true? This entry was posted in Faerie Reading and tagged compassion, faeries, fairy, hawaii, hawaiian, Kindness, love, oracle cards, Tarot by faeriemessenger. Bookmark the permalink.